Ivo Andric. Andric, Ivo, photograph. AP Images. 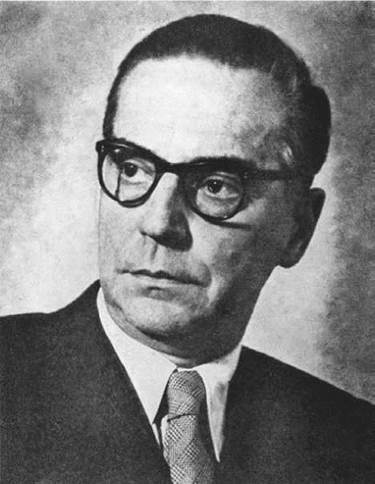 Ivo Andric’s international importance as a major twentieth-century European writer was acknowledged in 1961, when he was awarded the Nobel Prize in Literature. Andric focuses his attention on his native Bosnia because it represents a particularly varied concentration of Eastern and Western cultures: Roman Catholic and Eastern orthodox Christians, a large Muslim community, Jews, and gypsies. Andric’s lifetime covers a period of exceptional violence in Europe. While this experience is implicit in his works, it is not often treated directly. Growing Up Poor in Bosnia. Ivo Andric was born Ivan Andric on October 9, 1892, in Dolac, a small town in central Bosnia, then part of the Austro-Hungarian Empire. His parents were Ivan Antun Andric, a coppersmith, and Katarina Andric, both Catholics. The family moved to Sarajevo soon after Andric’s birth. When his father died of tuberculosis in 1894, his impoverished mother moved with her only child to Visegrad, a town on the Drina River. Andric completed elementary school in Visegrad and high school in Sarajevo. He attended universities in Zagreb in Croatia, Vienna in Austria, and Krakow in Poland, where he began publishing poetry. He took part in radical nationalistic activities, and one of his acquaintances was Gavrilo Princip, who was to fire the shots that killed Austrian archduke Franz Ferdinand and his wife in Sarajevo in 1914, sparking World War I. Imprisonment, Illness, and Commitment to Writing. Andric was arrested by the Austrians in 1914 as a member of the revolutionary group Young Bosnia, which favored an independent Slavic state, and spent three years in prison. While in prison Andric realized that he should express his commitment to political, moral, and social issues through his writing. He was released in 1917 because of poor health and a lack of evidence against him. In prison he wrote his first work, a book of prose poems titled Ex Ponto (1918, From the Bridge), followed two years later by a similar volume, Nemiri (1919, Unrest). After his release from prison, Andric went to Zagreb. He was seriously ill and spent long spells in the hospital, but with the end of World War I he shared in the euphoria of the creation of Yugoslavia, the new ‘‘Kingdom of Serbs, Croats, and Slovenes,’’ as it was called. In 1920 he entered the diplomatic service, and was posted to several European cities over the course of his career in Italy, Hungary, France, and Spain. Prizewinning Short Stories In his first short story, ‘‘The Journey of Ali Djerzelez’’ (1920; first English publication, 1968), Andric raises the question of the meaning of human existence amid evil and suffering, a theme that he repeats in many of his works. A legendary Bosnian figure and a hero of popular Muslim ballads, Alija moves between reality and dream, action and futility. Andric’s Pripovetke (Short Stories), his first collections, published in 1924, 1931, and 1936, were awarded prizes. Increased Literary Output during World War II. When World War II began, Andric was an ambassador in Berlin. Because he disagreed with the Yugoslav government’s decision to join Adolf Hitler’s tripartite pact—an alliance between Nazi Germany, Imperial Japan, and Fascist Italy—he resigned in March of 1941, ending his diplomatic career. Hitler invaded and captured Yugoslavia in less than two weeks. Andric spent the entire Nazi occupation in Belgrade, Yugoslavia (today Serbia). These four years, despite the surrounding death and destruction, were the most productive in Andric’s literary career. He completed three novels and published them in 1945, the first postwar Yugoslav publications after the victory over the Germans. The best known of these novels, The Bridge on the Drina (1945), brings together several individual stories set in Visegrad, his childhood home, to give a chronicle of certain periods of the town’s history, linked by the central symbol of the bridge. Perhaps his most important work, it is an encompassing saga covering the history of Bosnia between 1566 and 1914. However, Andric wrote the novel not as history but as a chronicle of life in Bosnia and of characters of several generations. While The Bridge on the Drina takes a broad view of the life of a community through time, Bosnian Story (1948) (also known as Bosnian Chronicle and The Days of the Consuls) focus on a seven-year period in the history of the town of Travnik, the seat of the vizier in Bosnia, where French and Austrian consuls served from 1807 to 1814. This novel emphasizes the divisions between sections of the community: Muslims, Christians (Catholic and Orthodox), and Jews. Self-imposed isolation is the subject of Andric’s third wartime novel, The Woman from Sarajevo (1945); it is the portrait of a miser dedicated with religious zeal to her obsession with saving and mending. Postwar Work. In Andric’s novella The Damned Yard (1954), the prison yard suggests that the only escape from the constraints imposed by society and circumstances of birth is through the imagination, the deep human need for stories and storytelling. It provides the capacity to formulate experience, to connect with other peoples and generations in order to begin to understand one’s life. This is considered one of the best of his post-World War II works. Achieving International Recognition. With the end of World War II and the Communists’ successful revolution, the second, socialist Yugoslavia came into being. Andric participated fully in the intellectual and cultural life of his country, accepting various public positions and devoting himself especially to improving educational opportunities for all. Winning the Nobel Prize for Literature in 1961 had an enormous effect upon Andric the man and the artist. As he was the only South Slav writer to have received this prestigious award, it was highly gratifying for him. The outpouring of congratulations and respect attested that he now truly belonged to world literature. Andric continued to work until 1974, when he became seriously ill. He died, after a long struggle, on March 13, 1975. His funeral was attended by some ten thousand citizens of Belgrade. Haile Selassie (1892-1975): Emperor of Ethiopia from 1930 to 1974; widely credited with establishing a stable modern state, Selassie died in unclear circumstances while under house arrest after being overthrown by a military coup. Edna St. Vincent Millay (1892-1950): American poet and the first woman to be awarded the Pulitzer Prize for poetry; well known for her lyrical poetic style and unconventional life. Josip Tito (1892-1980): Leader of Yugoslavia from 1944 until his death, after being named President for Life in the 1974 constitution; a Communist, he was instrumental in the revolt against Nazi rule that began in 1941. J. R. R. Tolkien (1892-1973): English writer, poet, and Anglo-Saxon scholar best known for The Hobbit and his Lord of the Rings trilogy of fantasy novels. Marina Tsvetaeva (1892-1941): Highly respected Russian poet known for her lyric and narrative work. Parallels have been drawn between Andric’s work and that of Thomas Mann, Joseph Conrad, and Henry James. He was an avid reader and himself spoke of a sense of affinity with a wide variety of writers from Albert Camus and Johann Wolfgang von Goethe to Marcus Aurelius. History and the Redemptive Imagination. A key aspect of Andric’s work is the portrayal of history as a dimension of human life. He confronts the conflict, brutality, and hatred that may be seen as particularly concentrated and close to the surface in his native Bosnia in order to expose universal patterns of experience. But individual experience is always counterbalanced by further examples, so that the picture emerging from Andric’s work as a whole is subtle and complex. His constant journeys into the past do not signify an escape from the present reality but rather a keen understanding of the unity of time and space in the history of the Bosnian people. In his Nobel Prize banquet speech he commented that ‘‘the storyteller and his work serve no purpose unless they serve, in one way or another, man and humanity.’’ These words sum up Andric’s philosophy concerning his literary output. It can be safely said that he has fulfilled his mission of a witness to the existence and history of his country, small by space and numbers, but important to Andric within his artistic vision. Ivo Andric lived and worked in a rich literary tradition that is not familiar to many American readers. Here are some works by other writers from the region formerly known as Yugoslavia. The Mountain Wreath (1847), a play by Prince-Bishop Petar II. This long poem in the form of a play by the Montenegrin politician and poet is based on true events in the previous century, when converts to Islam were given the choice of converting back to Christianity or being killed. On the Edge of Reason (1938), a novel by Miroslav Krzela. This novel by the great Croatian writer and poet satirizes enforced conformity by exploring the disastrous consequences of an honest opinion blurted out by a model citizen. Death and the Dervish (1966), a novel by Mesa Selimovic. This novel, by a writer who identified himself as both Bosnian and Serbian and came from a Muslim family, is set during Bosnia's occupation by the Ottoman Empire and explores the interior world of a dervish, or Islamic religious man, who is tormented by his brother's arrest. Dictionary of the Khazars: A Lexicon Novel (1988), a novel by Milorad Pavic. This contemporary Serbian novel is styled as three cross-referenced encyclopedias (Christian, Muslim, and Jewish), which through interconnected and sometimes contradictory stories explore the conversion to Judaism of much of the Khazar people in the late eighth century; it is available in a ''female'' and a ''male'' edition, which are identical except for one paragraph. Songs of the Serbian People (1997), a nonfiction work by Vuk Karadzic. Karadzic, a nineteenth-century Serbian linguist, collected traditional folk songs, of which selected ones are translated and explored in this edition. 1. Ivo Andric decided to express his social and political concerns through his writing. What can you learn about a country or region by reading its literature that you cannot learn by reading the news? 2. Two themes in Andric’s works are the divisions between sections of the community and the self- imposed isolation of different groups. The United States has been called a ‘‘melting pot’’ of different cultures, in which immigrants become essentially American. It has also been called a ‘‘salad bowl,’’ in which immigrants keep parts of their original culture. Which do you think is preferable? Why? 3. Andric’s writings explore the rich cultural heritage of his native country, which became Yugoslavia after World War I. However, a bitter civil war ripped apart the country along ethnic lines in the 1980s and 1990s, and today it has split into six separate nations. Write an essay analyzing the following quote by George Santayana, the Spanish philosopher: ‘‘Those who do not remember the past are condemned to repeat it.’’ How does that quote relate to Andric’s reasons for writing about Bosnia and its history? 4. Andric believed that imagination allows us to connect with other people and the past in order to start understanding our own life. Write an essay about your family history. How has it shaped your own personality and way of thinking? Be sure to use specific examples. Hawkesworth, Celia. Ivo Andric: Bridge Between East and West. London: Athlone Press, 1984. Juricic, Zelimir B. The Man and the Artist: Essays on Ivo Andric. Lanham, Md. : University Press of America, 1986. Popovic, Radovan. Ivo Andric: A Writer’s Life. Translated by Karin Radovanovic. Belgrade: Jugoslovenska Revija, 1989. Taranovski-Johnson, Vida. ‘‘Ivo Andric’s Kuca na osami: Memories and Ghosts of the Writer’s Past.’’ In Fiction and Drama in Eastern and Southeastern Europe, edited by Henrik Birnbaum and Eekman. Columbus, Ohio: Slavica, 1980. Coote, Mary P. ‘‘Narrative and Narrative Structure in Ivo Andric’s Devil’s Yard.” Slavic and East European Journal 21 (Spring 1977): 56-63. Goy, E. D. ‘‘The Work of Ivo Andric.’’ Slavonic and East European Review 41 (June 1963): 301-326. Storyteller.’’ Review of National Literatures 5, no. 1 (1974): 112-126. Martin, James. ‘‘The Bridge on the Drina (review).’’ America, v. 172, no. 11 (April 1, 1995), pp. 24-27. Mihailovich, Vasa D. ‘‘The Basic World View in the Short Stories of Ivo Andric.’’ Slavic and East European Journal 10 (Summer 1966): 173-177.
Review of The Bridge on the Drina. The Economist (US), 330, no. 7854 (March 12, 1994): 101. Ivo Andric Foundation. Ivo Andric. Retrieved May 1, 2008, from http://www.ivoandric.org.yu/.